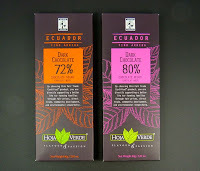 Today was Day #4 of Chocolate and Ecuador Theme Week. 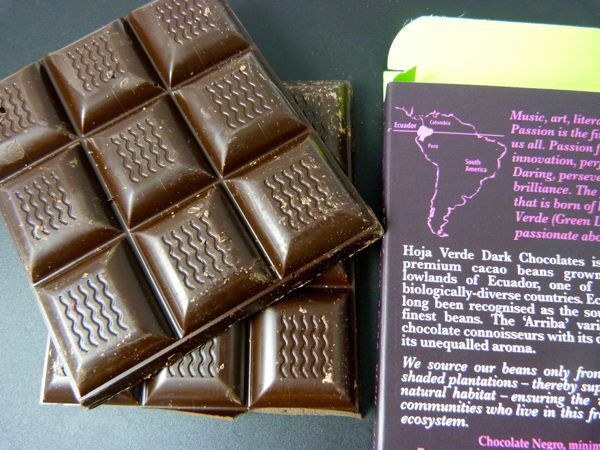 Yesterday, I featured a similar Hoja Verde bar -- made with 72% cacao (shown with today's 80% bar in top photo), Today's bar was just a shade darker, at 80% (minimum cocoa solids). This bar was similar in taste to yesterday's bar, with the same faint hint of soy lecithin (a commonly used emulsifier) in terms of mouth feel and taste. 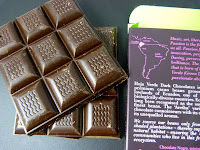 Otherwise, a short list of pure cacao ingredients (cocoa mass/liquor, sugar cocoa butter). 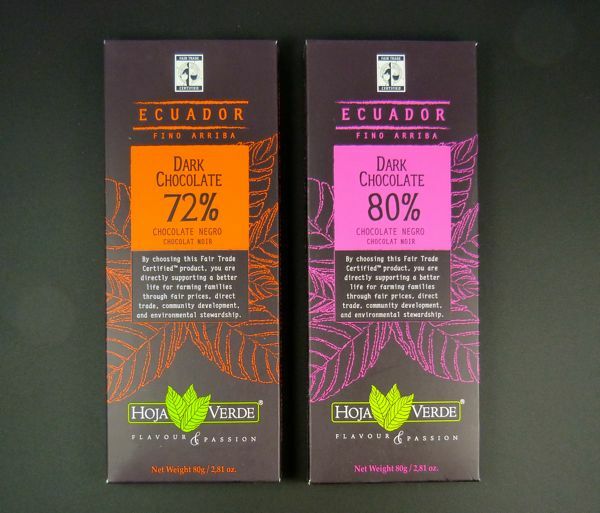 Theoretically, choosing a Fair Trade Certified bar like this supports farm families through "fair prices, direct trade, community development, and environmental stewardship." A commendable set of goals. Note: I will be traveling this week, and some posts and photos may be delayed.